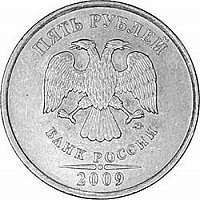 At the top along the rim - lettering of the coin: "ПЯТЬ РУБЛЕЙ". 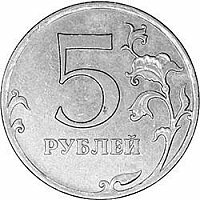 In the center (close to the left) - the denomination of the coin: the figure 5, under it - the word "РУБЛЕЙ", arranged horizontally. 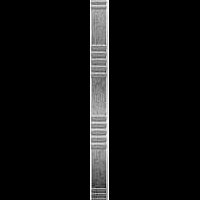 At the bottom along the rim and in the right part of the disc - the stylized vegetable ornament in the form of curved branches with intertwining stems.